Can technology protect you from the jaws of a one-ton great white shark? Several Australian tech startups say yes. They’re using artificial intelligence, drones and electric force fields to try and prevent sharks from eating human bathers. In January, the Ripper Group, which operates search and rescue drones in Australia, launched SharkSpotter, a deep learning computer program that scans the ocean for sharks from the air. The AI algorithm detects the animals based on their movement, speed, color, texture, shape and swimming patterns. When it spots a shark, the drone sends an alert to lifeguards and can drop inflatable devices to swimmers in immediate danger. 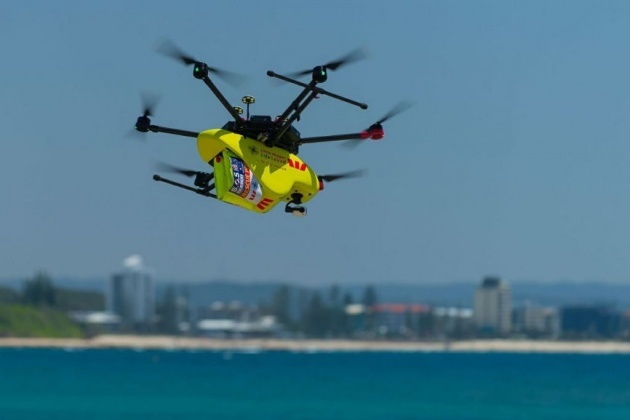 The drones were operating along 15 beaches in New South Wales last summer, and CEO Eddie Bennet says they’ll patrol an additional 50 beaches this summer as more lifeguard associations jump on board. He plans to go public next year. SharkMate and SharkSpotter try to influence human actions; Ocean Guardian’s Shark Shield attempts to change the animal’s behavior. The electric transmitting device emits a three-dimensional force field that causes unbearable spasms in a shark’s sensory systems, prompting the animal to turn away from its prey.